I had the pleasure of reading the first two book of the Lancaster County Secrets Collection, The Choice and The Waiting and I was greatly anticipating this next book. It did not disappoint. In fact, it was my favourite of the three I’ve read so far! This story follows 15 year old, Bess, who is visiting her Mammi for the summer and Lainey, a 25 year old woman who is new in town and comes back to the area for a specific reason that is revealed a little ways into the book. I don’t want to give spoilers here, but let’s just say it is a BIG secret that affects many of the characters in the novel. Bess was put to work right away on her Mammi’s rose farm and was working alongside an older boy, Billy, whom she has a huge crush on. At first he doesn’t notice her in that way, but as the book progresses, his feelings change. I enjoyed reading the parts when they were together and seeing how Bess got so excited everytime he came around. Even though she’s Amish, she is still a regular teen girl who likes boys. I guess that doesn’t change whatever religion you are. My favourite character was Mammi (Bertha Riehl) hands down. She comes across as an abrupt woman who says it like it is, but really she is an old softie with a big heart and lots of love to give. She cracked me up though with some of the stuff that comes out of her mouth and her antics. I especially liked the scenes where Bertha and Bess drove the Sheriff’s police car down the road and then Bertha dared the Sheriff to arrest an old lady! Their was a lot of different storylines with the various characters in the book, but they all flowed well together. The love story between Jonah, Bess’s dad, and Lainey as well as Bertha’s brother, Simon, dying of cancer and needing a donor match in order to survive. I loved reading about the Amish way of life from their hardworking ways, feeling of community and how they lived (without electricity, cars and pretty much any modern conveniences). This is a powerful story which left a lasting impression on me. It made me laugh in parts and I was actually crying in one scene of the book because it was just so sad. I know its a good novel when it evokes those kinds of real emotions from. This book can standalone so you can go ahead and read it even if you haven’t read any others in the series. 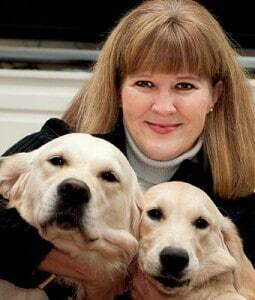 I can’t wait for Suzanne Woods Fisher’s next book! I had fun thinking up malapropisms (the way she mangled the English language). Would love to have your review up on Amazon/CBD if you have a minute to spare. Thanks again for being a part of the blog tour and for being such a support! 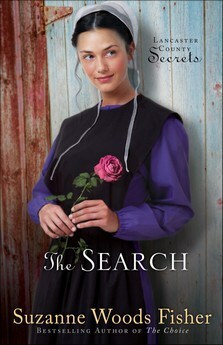 I am going to have to read this series now….she is one of my favorite Amish authors! Will give hints to Mark for Valentine’s Day gift!